When Linda Watkins came to work at The Needleworks, she brought with her and put on display a charted piece she had done. After asking Linda for all the details about stitching a charted piece, I decided to give it a try. That was it — I was hooked. So far, I have done 12 charted designs. 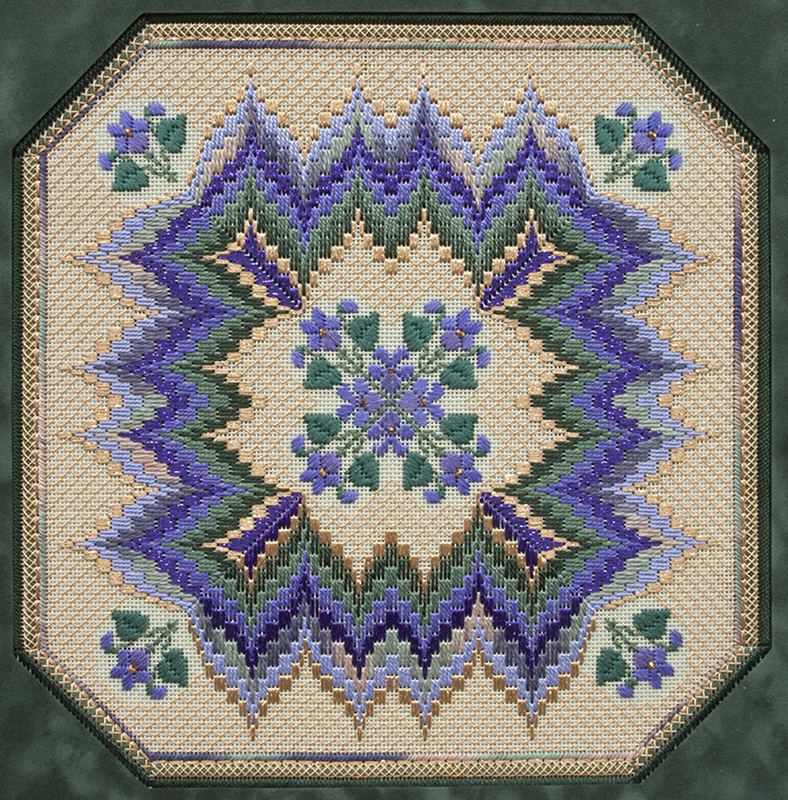 Bargello and Violets is my favorite. The rich purples and greens bordered by the bright gold and the dainty violets, to me, feel so serene.